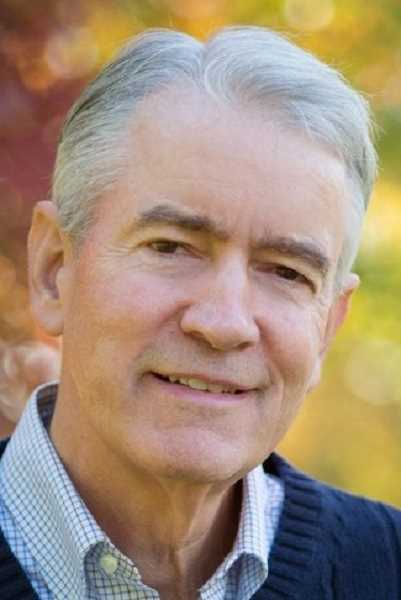 Six applicants hoping to fill the seat being vacated by state Sen. Richard Devlin gathered for a town hall-style meeting in Lake Oswego last week, hoping to earn the votes of Democratic precinct committee persons from Oregon House Districts 37 and 38. 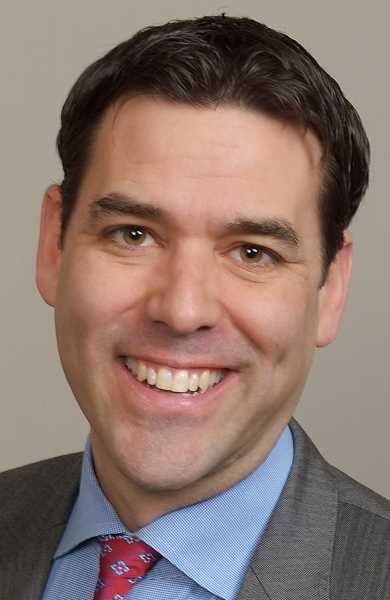 The eventual Senate District 19 appointee will serve out the remainder of Devlin's term after he takes his place on the Pacific Northwest Electric Power and Conservation Planning Council in January. Three to five nominees will be chosen by the Democratic Party, with the final appointee chosen by Washington, Multnomah and Clackamas County commissioners. The party can't officially accept applications until Devlin resigns, but the six competitors who attended last week's meeting have all publicly announced their intention to seek the seat. 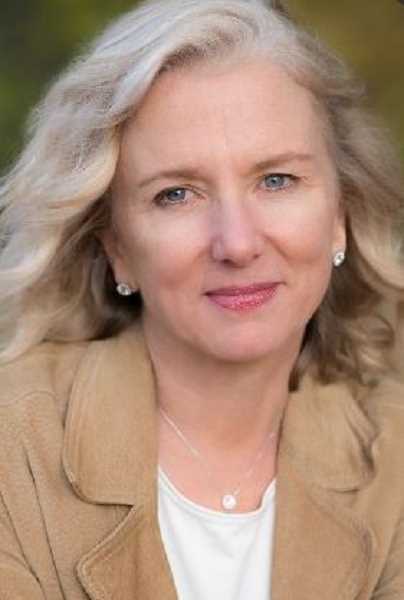 Two of them — Gerritt Rosenthal and Claudia Black, both from Tualatin — joined the race last week, adding their names to a list that already included Lake Oswego School Board member Rob Wagner, former state Rep. Greg Macpherson, environmental advocate Daphne Wysham and Tualatin City Council President Joelle Davis. Each candidate was given the opportunity to make an opening statement, and each then took turns answering questions from the audience. Introducing herself as a candidate, Black said one of her major priorities would be "changing the culture of the Senate," which she said has too often served as a roadblock for progressive legislation. She cited the chamber's failure to pass House Bill 2004, a renter's rights bill, in this year's session. "I'm a strong progressive who has a 26-year history of getting things done in the Legislature," she said. 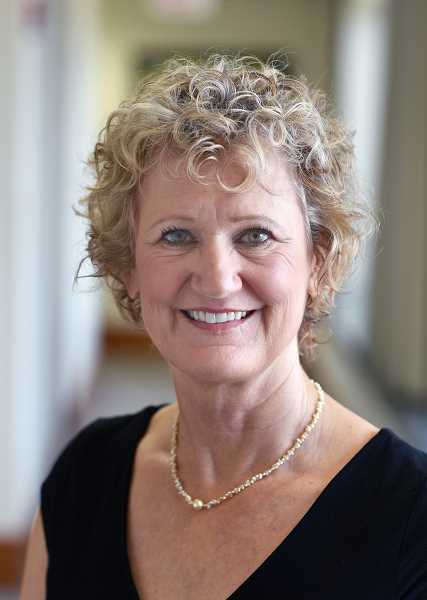 Black began her career as a police officer and later served as the public affairs director at the Oregon Department of Corrections. She worked as a senior policy advisor to former Gov. Ted Kulongoski from 2008 to 2010, helping to develop the Healthy Kids Initiative to extend child health care coverage in the state. 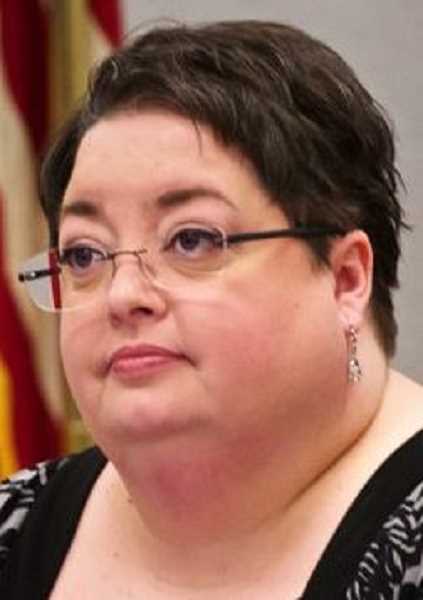 She served as director of the Multnomah County Office of Government Relations from 2010 until earlier this year. "One of the most rewarding things I worked on recently is improving access to an opiate overdose antidote, naloxone," she told The Review. Black said she decided to run for the Legislature to help advance progressive causes, and she pointed to her past track record as proof that she can "build coalitions" to accomplish legislative goals. "We have a whole lot more to do, which is why I'm running," she said. "We have to clean up the air, create housing stability, and we have to make sure that Ballot Measure 101 passes so we continue to provide health care to people. I'm excited and energized about the possibility of continuing this work." Rosenthal, a longtime environmental consultant who has often worked at the county level, cast himself as a candidate with broad experience across many of the Democratic Party's core issues. "I have activist familiarity with tax and revenue issues, environmental concerns, social equity matters and both transportation and climate change issues," he told The Review. 'I have also been active with education and labor concerns, and have been both a teacher and labor representative." Rosenthal also emphasized a history of strong party involvement, including his roles on the state Democratic Party's Platform and Resolutions Committee and its environmental caucus, the Washington County Platform Committee and service locally as a neighborhood leader, House District leader and state Central Committee delegate. "My current activism and experience with both the local and state Democratic platforms means I have direct knowledge of the interests and values of Oregon Democrats both locally and statewide," he said. "Of all the current candidates, I have had the most direct involvement with the broad range of state Democratic issues." Rosenthal has run twice to represent House District 37. He and Davis both ran in the 2010 Democratic primary but were defeated by Will Rasmussen of West Linn, and Rosenthal secured the Democratic Party nomination in 2014 but lost in the general election to incumbent Rep. Julie Parrish. The other four SD19 candidates all reiterated their own reasons for running in their opening statements last week. 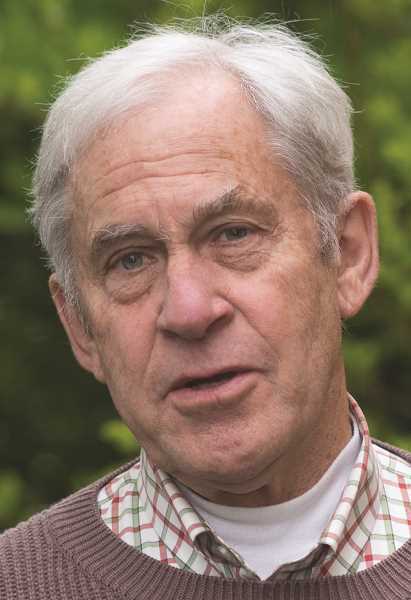 MacPherson touted his work on the Land Conservation and Development Commission in the years since his departure from the Legislature, declaring himself to be an "environmental champion." Davis put a strong focus on education policy, emphasizing her role as a local leader and parent who would bring the fight for better education funding to Salem. Wagner referenced larger national events such as the women's march following the election of President Donald Trump, calling on Democrats to seek large-scale change and declaring that "this is not a time for caution." And Wysham emphasized her background in fighting climate change, but also voiced support for universal health care, a $15-per-hour minimum wage and better public education. One of the attendees at the town hall asked the candidates how they would work to build support for a proposed new MAX light rail line in Southwest Portland. The proposed line would run from Portland to Bridgeport Village in Tualatin, but the regional planning agency Metro recently announced that it would delay a bond measure to partially fund the line, opting to first put forth a separate bond related to affordable housing. Wagner and MacPherson both said the decision to delay the light rail bond was disappointing. Davis added that housing and transportation issues need to be addressed simultaneously; she said the Tualatin area feels underserved by TriMet relative to the amount of funding the region contributes to the agency. Rosenthal agreed, and said the delay was perplexing. "We need the light rail line five years ago, not 10 years from now," he said. Wysham said she was also disappointed with the delay and criticized Metro and other agencies for placing a short-term emphasis on widening Portland's freeways. Bigger freeways won't solve congestion problems, she said, and will generate negative environmental impacts. Another audience member asked the candidates what they thought about Senate Bill 1070, which was introduced in this year's session but never advanced. The bill would establish a carbon pollution market by capping the state's total carbon emissions at a gradually decreasing amount and selling "allowances" to companies that would permit them to generate a portion of the allowable pollution. Macpherson said he used to prefer the idea of a direct tax on carbon emissions, but came around to supporting a cap-and-trade approach because it would be easier to implement in Oregon, where a three-fifths majority vote is required to raise the amount of tax revenue collected. "I'll take that as an option that we can pass on Democratic votes any day of the week," he said. Rosenthal said he would also prefer a carbon tax, and Black said she thought a carbon market wouldn't make progress fast enough, but both said they would support the legislation as the best available option. Wagner offered support for the idea as well, but cautioned that lawmakers would need to be mindful of how much various groups and industries were being impacted by the restrictions and would need to work to make sure labor groups and environmental groups were in agreement about how to proceed. Wysham also supported the idea, but said the proposed legislation fell short by not including strict-enough controls for the timber industry, which she said was one of Oregon's biggest sources of carbon pollution. She also called out the bill for not mentioning the proposed Jordan Cove LNG export terminal, which she said would be a major source of pollution. Davis said she was "not a cap-and-trade expert" but would rely on experts for advice. In response to a subsequent question about the Jordan Cove project, all six candidates stated that they would strongly oppose the export terminal, and Davis added that she would oppose fracking (LNG production) in any location. One of the final questions brought up issues of transparency and cited House Bill 2577, which would have required lobbyists to disclose bills for which they had lobbied in the past and who paid them to do the lobbying. The bill never passed the Senate, but the questioner asked the candidates if they would support a similar measure if it were brought up again. All said they supported increased transparency, and Wagner added that, despite having worked as a lobbyist himself, he wouldn't be concerned about a declaration requirement because he "couldn't be prouder of who (he) was advocating for." Wysham also said state legislators need to be paid more, because the current salary level creates a barrier of entry for people who aren't retired or working day jobs with flexible schedules and leaves them vulnerable to "legalized bribery." Devlin has not yet announced a planned resignation date, but he must vacate his Senate seat before Jan. 16, when he joins the council. The eventual appointee must then be chosen within 30 days following his departure.